Sometimes people say important things and if you did listen, then maybe you will end up paying the price ï¿½ like poor (and, I suspect, talented) Sean Spooner. It is you responsibility to hear what has been said. It is your responsibility to be heard. Only if you embrace both halves of this dual responsibility, will you maximise your communication effectiveness. 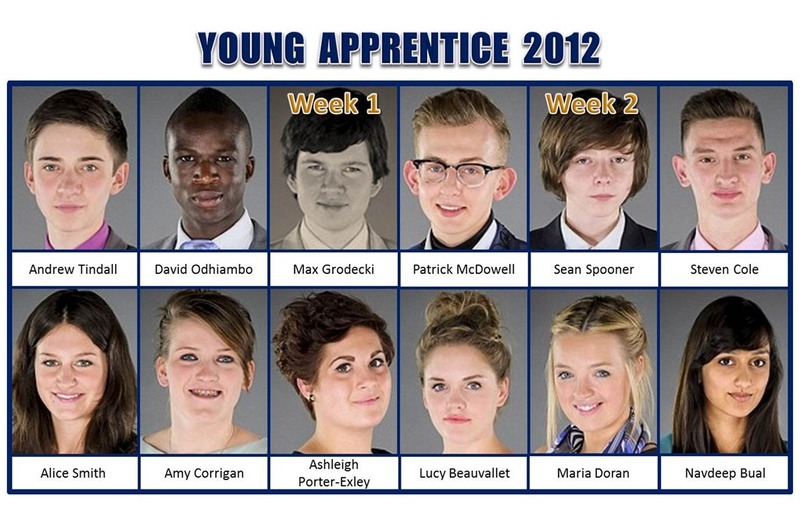 The two teams (Platinum ï¿½ girls and Odyssey ï¿½ boys) were slightly shuffled, exchanging Maria Doran and Steven Cole at Lord Sugarï¿½s behest and tasked with designing a new cookery book to pitch to three retailers (Waterstones, J Sainsbury, and Play.com, as it turned out).ï¿½ Most orders wins ï¿½ obviously.ï¿½ Odyssey chose magazine publisher Sean to lead and Platinum picked Lucy Beauvallet. Whatever Alice Smith may have convinced herself, we heard Platinumï¿½s project manager, Lucy tell the other sub-team to get recipes.ï¿½ Come to think of it, on what strange world would a recipe book not need recipes.ï¿½ If the team had lost, then tat flaw should have spelled doom for Alice.ï¿½ And, by the way, I was very much unimpressed by the seeming pride with which two of Platinumï¿½s team members announced that they cannot spell.ï¿½ It may be a matter of pride to announce ï¿½I have a strategy to manage my poor spellingï¿½ (I believe spell-checkers are reasonably common for example, but poor spelling itself is a weakness.ï¿½ Many entrepreneurs have it.ï¿½ Like Alice, they are dyslexic or have some similar challenge and became entrepreneurs because our education system did not engage them enough and hold them in full-time education.ï¿½ But they will tell you of the importance of attention to detail and of finding solutions to address deficits, rather than plead special needs. Half the Odyssey team attended a focus group that clearly told them that their title ï¿½The Professional Womanï¿½ was poor.ï¿½ They told Sean that, in no uncertain terms.ï¿½ He listened but did not hear.ï¿½ What he heard was the strident argument of Maria Doran arguing for niche focus.ï¿½ Itï¿½s a good argument if the market segments according to your niche, but a poor one if people in your niche say ï¿½no it doesnï¿½tï¿½.ï¿½ Sean failed to hear the merit in the arguments put to him and focused on their volume.ï¿½ The team lost spectacularly with only 800 sales to one retailer, Play.com, who ordered 1,500 from the other team.ï¿½ Platinum also sold to both other retailers, amassing an order book of 7,500 copies of a mistake ridden book with recipes made up by teenagers who canï¿½t cook.ï¿½ That was the extent of Seanï¿½s error and the consequences of poor listening. – Does the cover entice me to open the book? – Does the inside make me desire to own it? We really do judge a book by its cover. So when I heard Alice say ï¿½the whole task is about innovation and creating something newï¿½, I thought ï¿½aaagghhï¿½. But in this case, maybe she was right.ï¿½ While Odyssey created a dull old me-too recipe book with poor targeting and a dreadful title, Platinum did come up with a creative way to present a new book to an established niche. 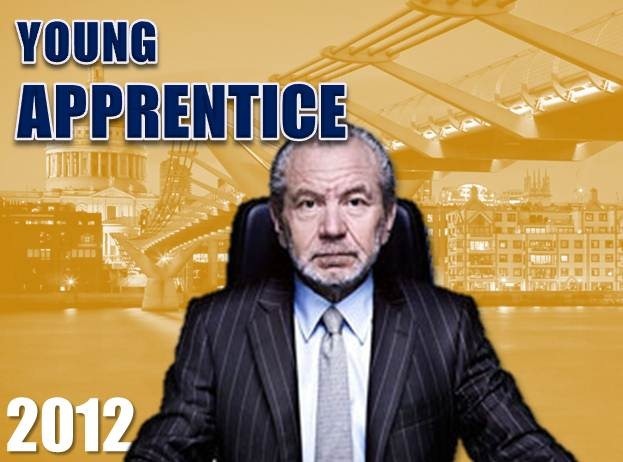 Was this the ï¿½good presentationï¿½ that Lord Sugar said would win?ï¿½ Or was it the innovative and creative thinking that Alice asserted? I think they were both right.ï¿½ It was well presented at the macro level.ï¿½ At the level of detail it was poor and that could have cost Platinum dearly, but it was also creative enough to attract the buyers.ï¿½ If they had got the detail right, I think they would have been proof against any but the most outstanding competitors. Mariaï¿½s judgement was poor.ï¿½ but in following it, so was Seanï¿½s.ï¿½ That Maria failed to acknowledge evidence counter to her position is, in part to be expected.ï¿½ But the leaderï¿½s role is to be objective and weigh the evidence on its merits.ï¿½ From what I have learned on the web about him, I think Sean is one of the stand-out individuals among this yearï¿½s candidates and I am sorry to see him go.ï¿½ But I also acknowledge that, on his performance, Lord Sugar was right to fire him.ï¿½ I hope Sean learns the lesson from his experience, because if he does, I suspect we will come to recognise his name easily in twenty or thirty years time ï¿½ perhaps even sooner. Slightly ironically, when you were talking about bad spelling and attention to detail, you forgot to close the bracket!